Provide comfort for the family of William Randall with a meaningful gesture of sympathy. 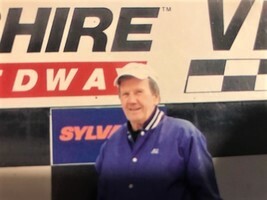 Northborough – William S. “Bill” Randall, 82, of Northborough, died on Monday, April 8, 2019 at the St. Francis Rehabilitation and Nursing Center in Worcester. He is survived by his son, Russell Randall and his fiancé Heather Hill of Willington, CT; daughters, Deborah Randall of Grafton, Laurie Morse and her husband Keith of Millbury, Jeanne Davies of Worcester; his brother Richard of Florida; sister Patricia of Waltham, as well as five grandchildren: Jason, Christopher, Sean, Sarah and Adam; and a great granddaughter, Emilia. Bill was born in Newton, the son of the late William S. Randall Sr. and Helen Murphy. He graduated from Our Ladies of Catholic School in Newton. He attended Wentworth Institute of Technology to become a machinist. He was employed as a machinist at Adcole Corporation before retiring in the early 90’s and previously founded his own carpet business. Bill served in the Navy during the Korean War. He enjoyed sports, boating and hot rods as well as spending time with his family. Bill was a co-founder of the Northborough Youth Hockey Association. A private service will be held at the convenience of the family. Hays Funeral Home, 56 Main Street, Northborough, MA is assisting the family with arrangements. 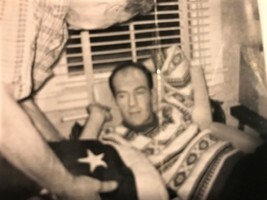 Please visit www.haysfuneralhome.com to leave a condolence for Bill's family. To plant a memorial tree in honor of William S. "Bill" Randall, please visit our Heartfelt Sympathies Store. At William's request, private funeral services were held. There are no public services planned at this time. Dad was a frugal, stubborn man but he had a big heart. He will be sorely missed! Sorry to hear about the passing of your Dad. Many memories from the old neighborhood.